Credit: NASA. Download this image (JPG, 472 KB). 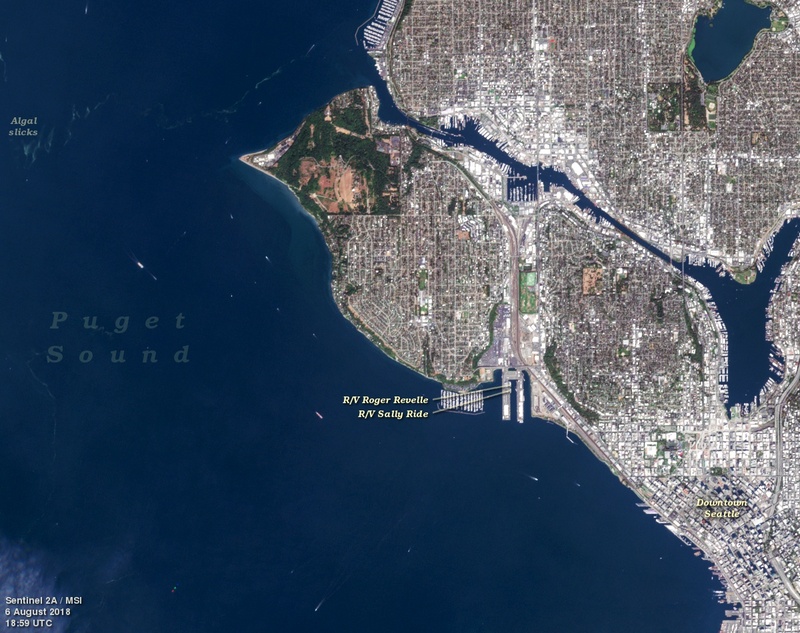 [08-Aug-18] This Sentinel-2A view of Seattle, Washington includes the R/V Sally Ride and the R/V Roger Revelle. The ships were docked at Smith Cove on August 6, 2018 in preparation for the first cruise of the EXPORTS field campaign.